Rashes are something I’ve battled with throughout my life. In this article I’ll share my dust mite rash tips and share my experience with dust allergy rash. I’ll end with my tips to stay eczema-free. I once believed that rashes were something I’d have to live with. There was nothing I could do about it. 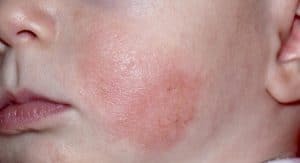 It’s true that genetic factors will impact whether you have eczema or not, however, the severity of your dust mite allergy rash can be limited by identifying irritants, making good lifestyle choices, and developing a safe routine for treatment. At times I still get frustrated at the feeling and appearance of my skin, but now I’m back in control of my life (and skin). One note before we begin: When I was younger I searched for the “quick fixes” and “miracle cures”. A quick Internet search and you’ll find many soaps and lotions sharing unbelievable results. 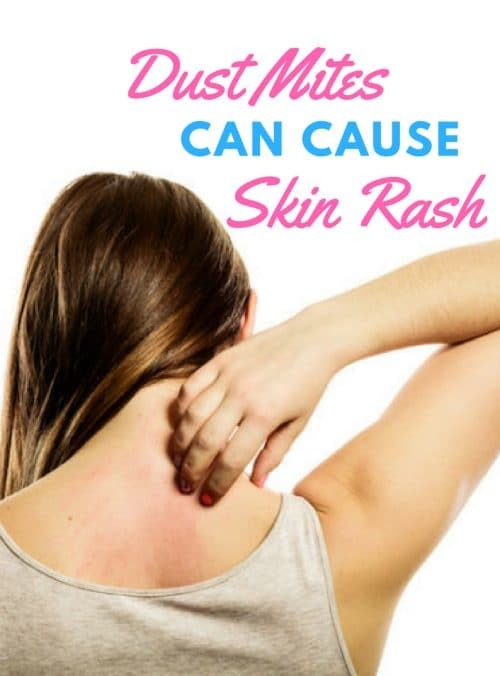 I’ve learned that there isn’t a miracle cure per say but there are many little things you can do to reduce dust mite allergy rash and prevent inflammation. The little things add up and keep my dust mite rash at bay. Atopic dermatitis is a non-contagious skin disease that results in red, scaly patches of inflamed skin. It can be caused by food and environmental allergens but can also appear on the skin randomly or associated with stress and changes in climate. It can be present year around or be dormant for years before reemerging. Contact dermatitis is specific to allergy and occurs when the body comes into direct contact with an allergic substance. It’s one of the most common ailments affecting people in the U.S. Year after year it ranks as a top 10 reason patients visit doctors. Both atopic dermatitis and contact dermatitis are known as eczema. About 20 percent of children show signs of allergic symptoms and they’re 60 percent more likely to have reactions if one of their parents had eczema. People with fair skin and red hair are more likely to experience symptoms than people with darker complexions. Thankfully, most children outgrow their eczema as their body develops and adapts to life as an adult but there are many people like me, who’s eczema is persistent even as an adult. Baby eczema caused by dust mites is extremely common. Many parents panic when they see their newborn with eczema. They want to know what’s causing the rash. Is it from food, from the environment, or just an internal reaction as the infant adjusts to life in the world? I saw this play out with my sister and her newborn. It was heartbreaking to see her baby, unable to tell anyone how she felt. My sister and her husband spoke to their doctor and searched for solutions. Often, parent’s first reaction is to look for a cream to sooth their babies skin. Creams can be beneficial however parents should know that creams and lotions with synthetic ingredients should be avoided if possible, especially if the baby is under 6 months old. I’m not a medical professional but I’d rather put on a natural oil that applies thinly like coconut and grape seed oil. I use both of these on my face and eyes everyday and I’m not conflicted about using them because they don’t include chemicals or unnatural ingredients. These would be good options for babies and young children who are experiencing dust mite rash or some other allergic rash. Rather than treat the symptoms, parents should try to understand why the eczema is occurring. Yes, it could be the food. Yes, it could be stress. But often, the problem is an invisible creature known as the dust mite. Dust mites are microscopic, invisible to the human eye, are present in most homes across the world, and are one of the main allergy-causing problems in the Western World. The dust mite rash can appear anywhere on the body. People with dermatitis might be wondering how dust mites could cause eczema on my face. Well, whether you’re aware of it or not, dust mites and their allergy-causing proteins likely have a lot of contact with your face (and body). Their main source of food is human dead skin. Don’t worry they don’t eat living skin and you can’t feel dust mites. They wait until we shed skin and they literally eat our dust. They like our beds because there’s plenty of moisture and places to hide in pillows and mattresses. The proteins found in dust mites and their feces are what makes us sick. If we don’t protect our beds from dust mites, their proteins can come in direct contact with our face. When we inhale they can penetrate deep into our sinuses and lungs. 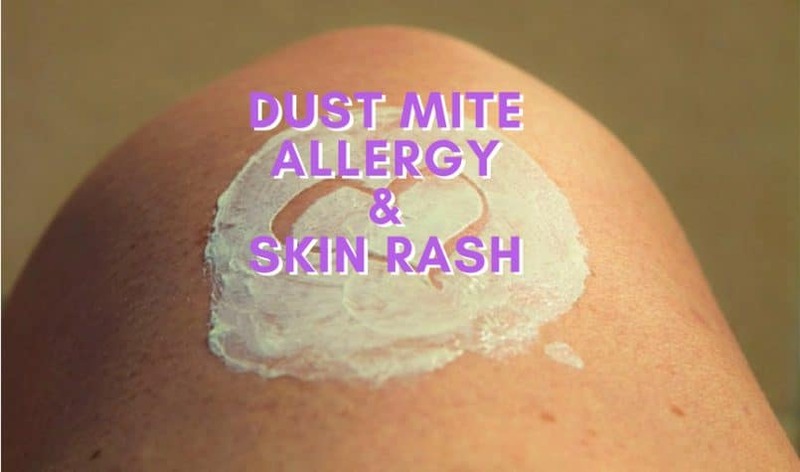 Whether it’s direct contact or from inhaling dust mite allergens, it can cause dust mite allergy rash on our face (places where the skin is thin and sensitive). I now use dust mite proof pillows and mattress covers so I’m not inhaling them every night! Notice the diffuse rash on the face. For me, I’ll see more dust mite rash (eczema) on my eyelids and the corners of my mouth. I’ll also get dust mite rash behind my ears and dry patches on my neck. When I grew up I was told that I had atopic dermatitis. What was strange to me was that certain times of the year my rash would inflame. As time passed, I began to think about my surroundings and if something in the air (or bed) was causing my skin to become inflamed. Years later my intuition would be right. I was suffering from allergies but didn’t know it. In 2013 I was struggling with eczema all over my body. I had it on my arms, back of legs, neck, mouth, eyes, and the back of my ears. I’d wake up with a chronic cough. If I didn’t get enough sleep it would get worse. If I felt stress from work my rash would worsen. If I exercised it would get inflamed. I’d always have watery eyes. I was walking around uncomfortable and always tired. At this time in my life, I still thought it was something I had to deal with. I was depressed. 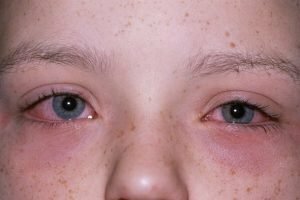 As a last resort I looked into getting allergy tested (something I look back at with frustration over why I didn’t do this earlier). I made an appointment with the specialist and one of the first things he said when he saw me was “Yep, it’s clear you have allergies”. If it was so obvious why hadn’t other doctors said the same thing? I just thought I had eczema. My allergist tested me for a number of things and the main thing he wanted to know was about dust mites. He tested my skin by putting small drops of allergens on my skin. We waited to see if my skin reacted and to my surprise, many of the allergens showed reactions. In particular, I showed a strong reaction to dust mites. I developed a dust mite rash on my skin. My doctor went through the options with me and we decided to go through with allergen immunotherapy – a process to build immunity to my allergens. Just as important was the advice he gave me for home. This is what I want to share with you today. 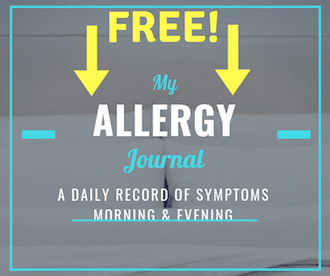 We prefer quality dust mite covers from Mission Allergy (my allergy bedding review). Because my allergy is strong, I use all 3 and it helps keep my dust mite rash at bay. Cleaning the house regularly is common sense and something we must do. My doctor told me about HEPA filters – I had never heard of them. High Efficiency Particular Arrestance filters are the top filters for vacuums and air purifiers. Check out the best HEPA vacuums. They do a great job of capturing invisible allergens from the air. Air purifiers and vacuums that don’t use a HEPA filter won’t help your allergies – it might actually make them worse! It’s interesting to note that when fans blow air throughout my home the air drys out and makes my dust mite allergy rash worse I try to minimize fans! There’s a reason why hospital and doctors office floors are hard surfaces and clean. It reduces bacteria and allergens and is much easier to clean. My family replaced our carpets right when I was diagnosed with dust mite allergy. The carpets had been in the house for 20 years and guess what?…they were filthy when we removed them (disgusting actually!). I can’t believe it because I use to lay on the carpets and even sleep on the carpets sometimes. No wonder my dust mite rash got worse after doing so. Bare floors take minutes to clean and you don’t even need a vacuum. You can simply use a Swiffer (check price) and pick up allergens quickly! My doctor also recommended warm baths for my eczema instead of showers. I never realized it but showers strip off natural oils from our skin. For those of us with sensitive skin, prone to eczema and dry skin, keeping those natural oils on our skin is really important. I’ll take a warm bath and only spend 5-10 minutes in the water – more than enough to freshen up. If there’s no bath, I take a super-fast shower and use cold water. I’m doing my best to take cold showers (horrific I know) because there’s research showing its beneficial effects on health. I was also told to keep my skin moisturized. Sometimes it’s difficult because I’m busy at work, but I always carry a travel size bottle of lotion with me at the office. I can slip into the bathroom apply the lotion and be on my way. During the day I use Cetaphil (it’s the only lotion that doesn’t irritate my skin) lotion but I try to use natural moisturizers as often as possible. In the morning and evenings I use grape seed oil or extra virgin coconut oil on my face, hands, and arms. These oils do a great job and aren’t heavy oils. This piece of advice may sound strange but it has helped me in some of my worst moments. 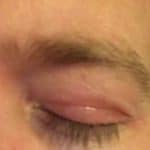 When my eczema was out of control, I’d routinely ice my lips and eyes. The ice was cold and helped reduce inflammation. I learned that wrapping the ice in a towel soaked in milk helped reinvigorate my sensitive skin on my face. Milk has lots of Vitamin A and lactic acid which helps exfoliate the skin. I was hesitant to use the milk at first because many foods irritate my skin (I’ve tried avocado masks, cucumbers, and potatoes and all burned my skin). Milk was soothing for my dust mite rash. If you think far enough ahead in advance, try mixing milk and water into an ice tray and freezing – this way the milk is built into your ice. Ice and milk will also help skin recover from sunburn. When I drink or exercise sometimes my skin dried out or heats up. When I anticipate inflammation I’ll take an ibuprofen or another anti-inflammatory. I try to limit my use of these but they do help. They are especially helpful to take on flights or after I’ve exercised when my skin can become inflamed. Anti-histamines block the histamine response of your body. My immune system is way too aggressive and reacts to everything. I take a daily anti-histamine and it helps normalize my immune response without risking my health. There are few side-effects (if any) and I’ve used them for a long time. Hopefully I’ll be able to stop using them one day but for now, I’ll use them to get relief for my dust mite allergy rash (you can check out the most popular medication for allergies here)! If your allergy is serious like mine and your rashes are problematic, consider allergy immunotherapy. As I mentioned earlier, this is a gradual process to reteach your immune system and the closest thing to a cure for allergies. I hate taking synthetic medicine so I was unsure about doing immunotherapy. I learned quickly that it’s natural and uses the same thing you are allergic to build tolerance. Since starting allergy shots a few years ago, my level of allergy has gone way down. In addition to the following the other tips on this list, I know it’s helped clear most of my dust mite rash (eczema). I followed the above steps that my doctor shared with me, and my dust mite allergy rash has improved significantly. I’ve had to adjust my lifestyle a bit but it sure beats being miserable. Occasionally I take hot showers, occasionally I stay out late and drink, and occasionally I forget to moisturize. But I have found the above tips work well for me without too much effort. The most important tips for me are moisturizing, keeping my bed covered, short baths, and allergy shots. It took me a long time to figure out what was causing my eczema – too long! I started this blog to share my experiences and I sincerely hope it helps you find solutions too. Thanks for reading and be sure to check out other articles on our blog.